For the third year in a row, Arizona House Democrats forced a debate and a vote on the Equal Rights Amendment (ERA). On April 16, I made an “emergency motion” to skip over First, Second and Third Readings of HCR2030 and bring the ERA up for an immediate vote. Predictably, the Republicans offered as substitute motion which led to two hours of rousing debate on women’s equality. Earlier in the session– when the Democrats still believed that at least a few Republicans may have a tiny independent streak– Senator Victoria Steele and I both garnered signatures from a handful of Republicans and all of the Democrats for ratification of the ERA. Steele had the votes to pass it in the Senate, but Judiciary Chair Eddie Farnsworth refused to hear the ERA in committee, and President Karen Fann stopped a real floor vote. Arizona Senate debated, but since there was no floor vote– only a division call– the Republicans weren’t held accountable for their stance against equal rights for women. None of the Republicans who had signed Steele’s bill stood up for the ERA or spoke in favor of it. Rep. Pamela Powers Hannley calling for a vote on HCR2030, ratification of the Equal Rights Amendment. Fast forward to yesterday. The House didn’t hear the ERA on the same day as the Senate because the plan was to propose the ERA in the House on a different day… unannounced. A stealthy surprise for the House Leadership. The Republicans don’t like it when the Dems surprise them with parliamentary procedures and force votes on bills they thought they had killed with parliamentary procedures. Their intransigence is the catalyst for our shenanigans. Several weeks ago, I met with Speaker Rusty Bowers about the ERA and asked him to assign HCR2030 to a committee that would hear it. Every year, the Democrats and ERA supporters ask for a real committee hearing, a real floor debate in Committee of the Whole, and a Third Read vote on the ERA. Every year, the Republicans use “horse and buggy procedures” to stall any meaningful progress. At the time of our meeting, the ERA had not even gone through the First Read– the very first step in the legislative process. He told me in no uncertain terms that he had “no intention” of doing anything to move the ERA forward. Initially, he declined to tell me why and said he wanted to “explain his position in a larger forum.” I pushed for a reason, and he talked about his wife and daughter and how it would negatively impact them. He also talked about more lawsuits as a result of passage of the ERA. I told him that the ERA focuses on government-based discrimination. If the ERA is passed and if the state of Arizona has discriminatory laws on the book, then, yes, the state could be sued, but the real issues are equal pay for equal work, equal protection under the Constitution, and structural sexism in our country. Homelessness, transitional housing, low-income housing and affordable housing are obviously big problems in the state of Arizona. Currently, the Arizona House is considering a mixed bag of bills that tackle different parts of the housing problem. Today’s video focuses on SB1471 which provides a creative funding mechanism to put up to $10 million per year in the Housing Trust Fund for homeless youth and families. There are no federal HUD funds for this population. SB1471 sets up a process for the state of Arizona to collect capital gains taxes on sales of Arizona property owned by out of state individuals. Apparently, compliance with capital gains taxes owed by out-of-state investors is less than 30%. This bill is projected to make around $8 million of year and could go higher. If more than $10 million is collected, the excess goes into the general fund. Why is there so much need? Because the Republicans have repeatedly swept the Housing Trust Fund since the dark reign of the Tea Party began in 2011. Instead of a scatter shot approach of random bills to tackle housing and homelessness, what we need is a comprehensive approach, with adequate funding to make a difference. 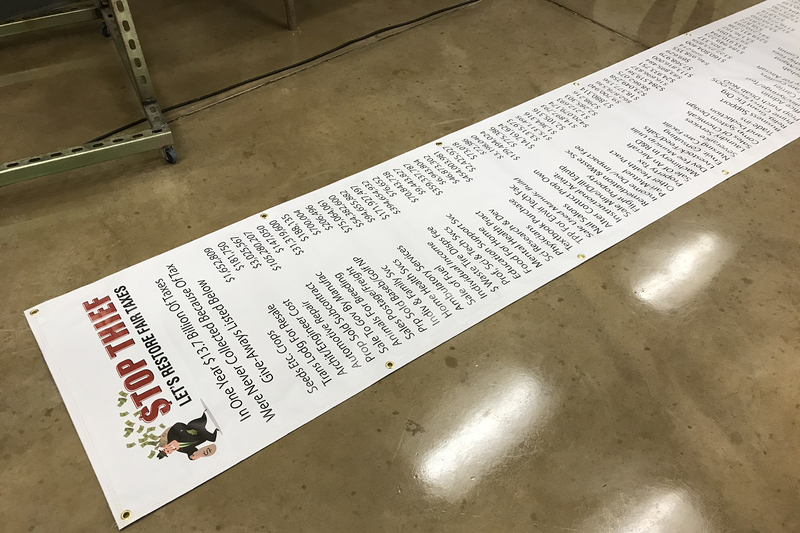 It has been a little more than a month since the 53rd Legislature ended with a 40-hour marathon, passing the budget in the middle of the night, under the watchful eye of Red for Ed teachers and supporters. What did the Legislature do in the 53rd Session? We passed the comprehensive Arizona Opioid Epidemic Act, to attack the opioid epidemic in Arizona. The choice is clear in the Legislative District 9 primary race. Do you want more old-school economic development based on corporate tax breaks and sales tax giveaways? You know… the same policies that starved our public education system, left our infrastructure in shambles, forced thousands of Arizonans to live in poverty, destroyed our state budget by giving away billions in taxes each year, and left Tucson with a 25% poverty rate. If you support giving your taxes away and banking on trickle down economics– vote for challenger in the LD9 race. 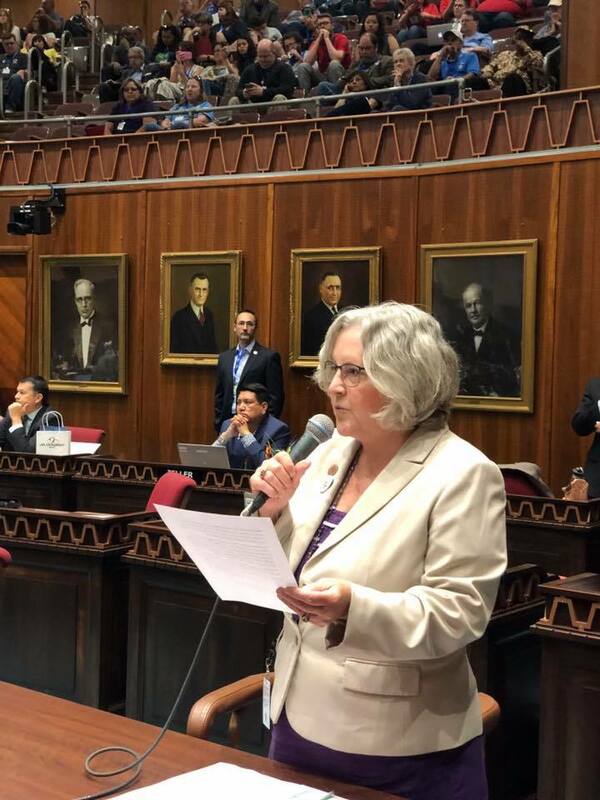 If you want a leader who will continue to be the voice of the people in the Arizona Legislature, vote to re-elect me– Rep. Pamela Powers Hannley. I have used my voice, my amendments, my votes, and parliamentary procedures to defend the rights of workers, patients, students, teachers, women, and the underserved. In 2017, Progressive Democrats vowed to vote against every corporate tax cut and tax credit bill until public education is fully funded. In 2018, that line in the sand against tax giveaways and for public education funding became the rallying cry for the most Democrats in the Legislature and for the #RedForEd movement. (You can see some of the tax giveaway votes here.) In my opinion, Arizona government should funding the People’s To-Do List– education, healthcare, safety and security, and infrastructure– instead of funding the corporate wish list. I agree that brick and mortar retail is faltering due to increased online sales and a corporate push to reduce labor and overall costs. I disagree that government should incentivize retail shopping with tax dollars. Tax giveaways drain on our state coffers. Arizona is already upside down on its mortgage. The state government gives away or otherwise excuses more than $13 billion in taxes each year and leaves around $10 billion to run the state. I support taxing digital goods as a way to level the playing field between online purchases, brick and mortar retail stores, and local small businesses. There are multiple proposals floating around to increase sales tax for a variety of reasons. Further increasing sales tax in Pima County would bring our sales tax rate in the neighborhood of 10%. Taxing local purchases but not digital purchases hurts local businesses. Besides leveling the playing field, taxing digital goods would raise hundreds of millions in much-needed revenue for public education, community colleges and the university system, as well as other crucial needs. Sales tax on digital goods is an increasing revenue stream, unlike store-based sales tax. Retail store sales and related sales tax are declining nationwide, resulting in store closures. This one of my arguments against pinning Tucson’s economic development future on sales tax generation by brick and mortar retail stores in the downtown Rio Nuevo Tax Increment Financing District (TIF). I want to know what the public’s total investment in every incentive deal– not just Rio Nuevo. Are taxpayers getting our money’s worth? I have heard the rosy projections and seen the slide shows. I want to see the spreadsheets. Perhaps it is my journalistic Spidy sense, but I am a “show me, don’t tell me” person when it comes to giving taxes away. The public has the right to know the bottom line about Rio Nuevo and any economic development project that uses taxpayer money.